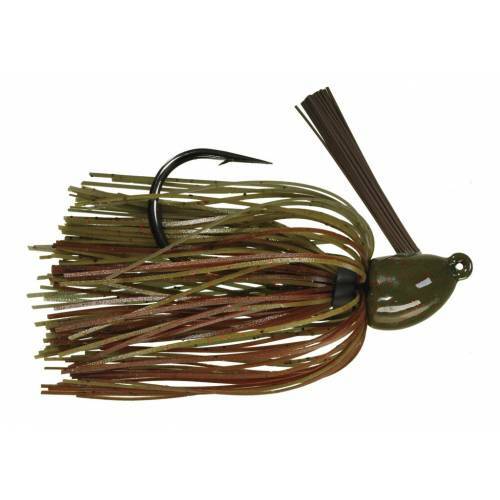 Strike King Hack Attack Heavy Cover Swim Jig - 3/8oz Green Pumpkin Craw. Bassmaster veteran Greg Hackney has designed this swim jig to be fished in & around the heaviest cover. Featuring a super strong Gamakatsu Siwash hook to enable more positive hooksets, an extra heavy weedguard and a perfect skirt with more lifelike action. Assorted colors & weights available.